THIS GIVEAWAY IS NOW CLOSED. Congratulations to Kathleen who is our winner. I posted the directions on how to make one of your own here. Win this photo album made from a recycled damaged Nancy Drew book (pages were damaged inside so it couldn't be read) from Mystery Playground. Just comment below by January 10th and tell us what book you are looking forward to reading most in 2013. You should also make sure there is some way to contact you. Good luck and thank you for reading Mystery Playground. "The Hunger Games"....I saw the movie but hadn't read the book first. My daughter is finishing it now, so I'll have to wait to start it until then. Oh my gosh! I read every Nancy Drew book when I was little. In fact, now that I am a published mystery author, I mention these books in numerous interviews when asked what inspired me to become a writer. I can't wait to read Lisa Gardner's latest book, "Catch Me." She's another author I credit on my new career path. Lisa has a knack for creating an ending the reader doesn't see coming. Seven Kinds of Hell, Dana Cameron's first Fangborn novel, and Susan Boyer's debut mystery, Low Country Boil. I'm Paula Gail Benson at pgbenson_4@msn.com. I'm looking forward to reading Stephen King's 11/22/63 and my own new mystery, Keeping Secrets, which will be published later in the year. Thanks for running the contest. Right now I'm on a nostalgia kick and reading Anna Katharine Green, a fantastic author. So I'm looking forward to reading THE CIRCULAR STUDY, which she wrote in 1900. I love this photo album! My most produced play is one I co-wrote with Kate Kasten "The Clue in the Old Birdbath" in 1978. It continues to be produced and ran for 6 months in Chicago in 1993 at Stage Left Theatre. 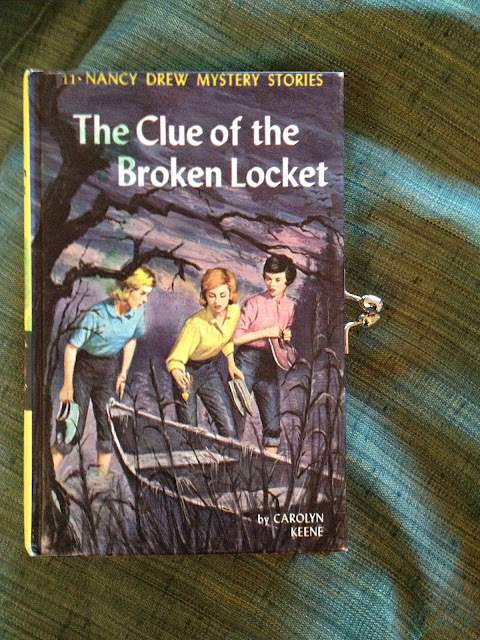 Nancy Drew helped inspire me to write my Shirley Combs/Dr. Mary Watson series, because although it is a Sherlock Holmes homage, I think of the series as Nancy Drew for grown-ups. As for what I'm reading, I love mysteries: Rendell, McDermid, Lori L Lake. I'm also reading Kate Kasten's new one as soon as it's published, her work is literary fiction of the highest order. What a great way to use this old book, Deb. At the top of my very tall TBR pile is Megan Abbott's Dare Me. I've been a fan of her work for years. What a gorgeous way to use an otherwise destroyed book, Deb! There are so many books I am looking forward to reading in 2013 I cannot possibly name just one! I've already read John Connolly's Wrath of Angels, which technically comes out in 2013, and it will be hard to top. But I've got a TBR list and pre-orders out the wazoo. A super-cool way to recycle a book, Deb! It looks great. I'm wasting no time when it comes to reading/listening to books in 2013: I visited my library on New Year's Eve, and among the treasures I borrowed was the audiobook about the alleged accomplices in the Lindbergh kidnapping: CEMETERY JOHN by Robert Zorn. It's fascinating! I look forward to reading the stories in the FEEDING KATE anthology; EVIL IN ALL ITS DISGUISES (release date: 3/5/13) by fellow NY SinC sis, Hilary Davidson; also in March, CRIMINAL ENTERPRISE by Owen Laukkanen, and Dan O'Shea's debut novel, PENANCE (due out in April). I anxiously await the release of DEAD AND BURIED by another fellow NY SinC sis, Laura K. Curtis, due this fall, from Intermix, Penguin's e-first imprint; and also KEEPING SECRETS by another talented NY SinC member, Cathi Stoler, due this year as well. Like Laura, I have a tremendous TBR list. One of my many resolutions is to carve out more reading time; there never seems to be enough! Also, I downloaded a C.S. Lewis from the space trilogy, and I have a Mike Carey paperback just waiting for me to have time to be ready for it. Thanks to Laura, I now have that John Connolly on my must-read list, too, and I have no idea what the future will bring! Hi. I am actually looking forward to two reads: the latest in the Stephanie Plum series by Janet Evanovich and also I would like to finish Dirty Girls Social Club. I am also looking forward to my book of poetry being published this year as well. But I am also looking for some new authors as well to read from and your blog always gives me some new names when I read. I can't wait to read Lisa Lutz's "Trail of the Spellmans", the newest book in her humorous mystery series. I love her books because of her fresh and modern style, but also because there are never any murders. A pleasant change of pace from most mysteries today, reminiscent of Nancy Drew novels, when I remember smuggling, counterfeiting ,etc., but no murder. I'm looking forward to reading Maria Hudgins, Death on the Aegean Queen. This book is part of the Dotsy Lamb travel mystery series which takes readers on exciting journeys in far away places. What a clever use of a destroyed book! A lot of Friends of the Libraries groups could use this idea -- make them up and sell them at their Book Sales! It's really a lovely thought! Thanks for sharing with us!! 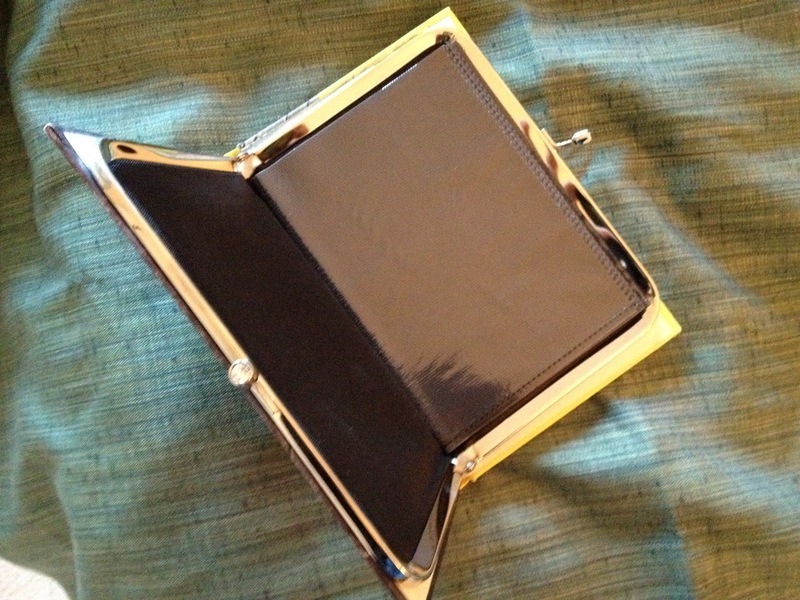 What a great little photo album idea. I'd like the instructions on how to make one of these since I have many books that are in pathetically bad shape. I'm a Hamish MacBeth fan, so I'm looking forward to the new one, Death of Yesterday coming out in March. I'm looking forward to the next Archer Mayor mystery. The 24th book in this series will come in September or October. What a great save! I love Nancy Drew books and that is the cover that was on the book back when I read them so many years ago. I am looking forward to THE LLAMA OF DEATH, #3 in the Gunn Zoo series by Betty Webb. SOON SOON it will be here. Thanks to a wise Aunt whose Christmas gifts were book (Nancy Drew and Judy Bolton) I developed a taste for mystery. I still occasionally re-read my copies of these - especially on rainy or snowy days. It takes me back to the great fun and comfortable feeling I had reading them many years ago. Fabulous way to re-purpose a book. I am looking forward to Lee Child's next book and also Daniel Palmer's. Thank you to everyone who entered. The giveaway is now closed.